With the grace of HHH Maha Periva @ JP Nagar, Bangalore Anusham monthly Vaibhavam is going on since Jan 2015. Rayapuram Sri. Balu mama (Swamigal) gave HHH Maha Periva’s Padhuka during that time , since then JP Nagar Periva Gruham is filled with devotees across Bangalore and always one or other Utsavam for Periva is happening. Very recently we had Sri. Salem Ravi Anna’s Upanyasam on Periva and looking for much more Satsung on coming years at JP Nagar Periva Gruham. 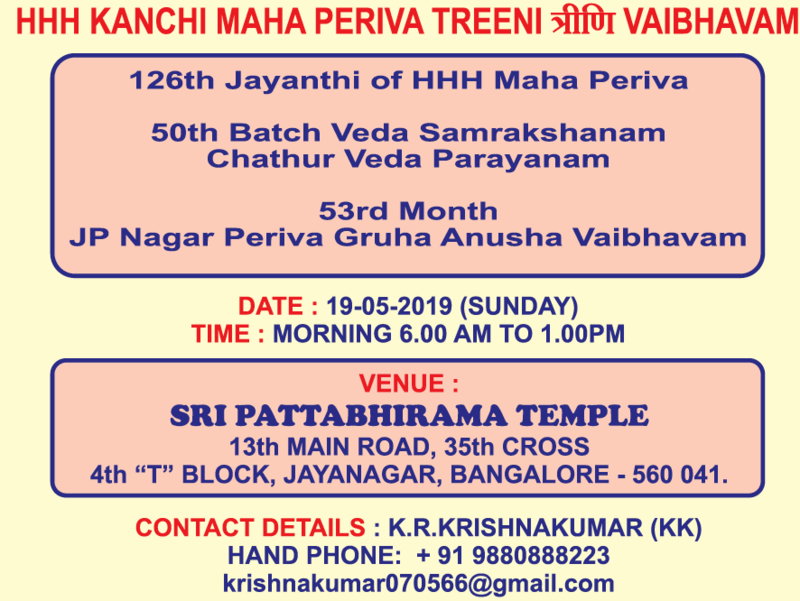 Every month we conduct “Veda Samhitha Parayanam” across Bangalore and Periva blessed 50th Batch on May 19th. That day we are planning to have Chathru Veda Parayanam – 4 Ritwiks per Sahai (Rig, Yajur (krishna & Shukla), Sama and Atharvana) and total 20 Ritwiks participating for this Yagnam. 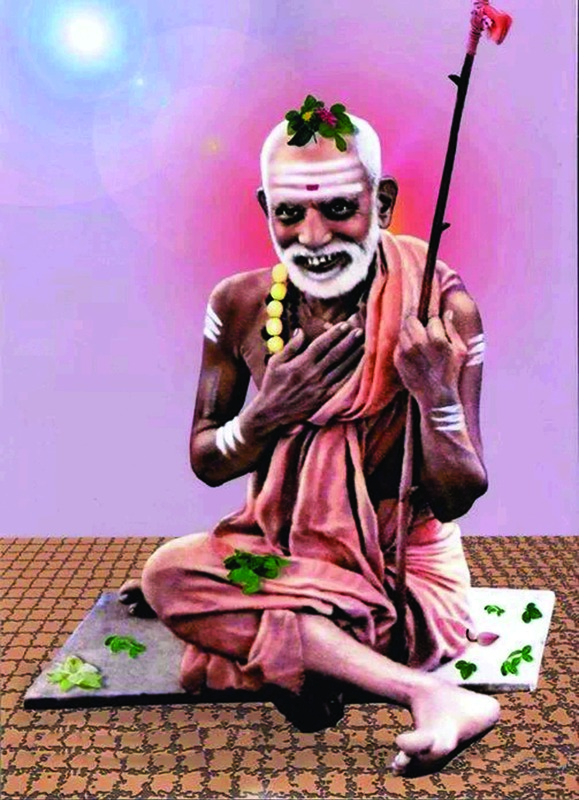 ‹ Deivathin Kural Weekly Sathsangam – Slight Change in Timings!